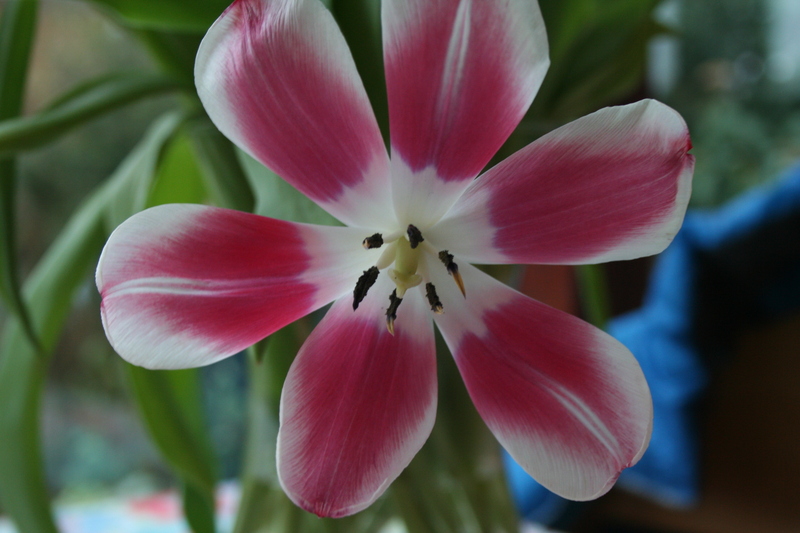 Monday again, I thought it might brighten up your day a little to see this tulip from my Mothers’ Day bunch. It’s so fully in bloom it couldn’t possibly open any further. Zzzzzzzzz very little happened today here, Mark did a short stint as a one man band and the shower tray is in place but we’re not allowed to walk on it. Afraid that’s all folks.